Big Brother Gossip: Final Negotiations - Jeff Drops! And lets hope Jeff gets the Coup Power... just in case... must admit, doing a last minute coup and putting up Jesse and Natalie would be sweet. Send the pitbull packing and freak out rat boy at the same time. I don't really trust Russel at all. Big mistake Jeffie baby! Prepare to get backstabbed. He should have listened to Jordan, wow. But if he wins the coup, which it seems like he will- he's golden both this week (in case Russ screws him) and (if not), next week regardless of who wins HoH. Dumb move but..... Since the Mystery power wont be awarded till Wed ( voting open till 1159PST Tues) Jeff could really screw Rusell over if he nominates him. Fair is fine, but do you really do that to your showmance honey and main ally? Not really. It was nice that the others talked her out of it. If a big IF Russel keeps his word and doesnt put up Jeff or Jordan, they have it good. They shouldnt try and win next HOH, let the HOH nominate whoever, then make the coup. We HOPE Jeff wins Coup. Remember when we had America's Player and people were voting to have Eric do things that were NOT in Eric's interest? I'm sure there are a lot of people who will vote for rat boy, just to screw with the hamsters. 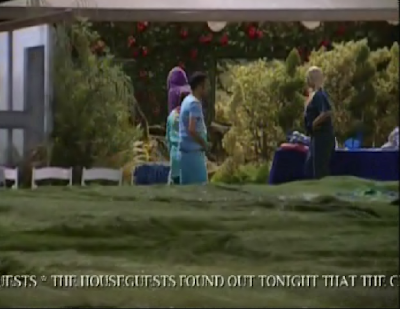 And yes, if Jeff gets the Coup, he should most certainly not try to get HOH. Better to let someone else wear a target for 2 weeks. 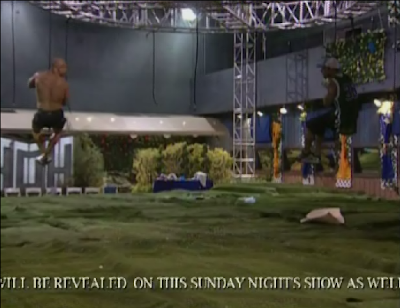 And how would winning HOH have kept Jeff safe for 2 weeks? I must have missed something. First of all, i got to say that i am estactic that my boy Jeff will be voted the coup power and we did need something to make this game more interesting. 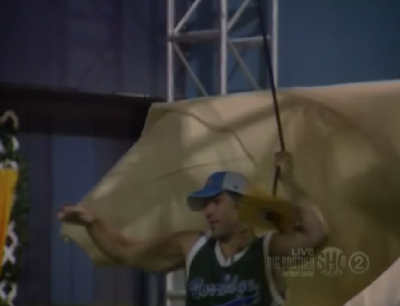 With that said, It would be a travesty that Russell stayed up there for as long as he did just to get the HOH power and it is stripped away and given to a player tha you and I and big brother knows will get it. All of us in here know you cant give it to Jordan becasue she is to damm dumb to know what to do with it and probably will tell Jeff and lose it. That means all of America will vote for my boy Jeff. I bet you he wins hands down. Besides Kevin getting 5k and Jordan getting the have nots award, what were in the other boxes?